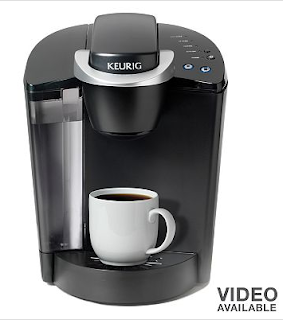 Keurig Elite Brewer: $85.99 w/ Free Shipping, Regularly $149.99! + FREE 12pk of K-cups & Tea! K-Cup® Portion Pack allows you to enjoy a single-serving of your favorite blend. Two cup sizes let you customize the intensity of the coffee flavor. Removable drip tray and water reservoir offer total convenience. Sleek chrome accents add a modern touch to your countertop. I think it depends on where you live, but you may have to pay tax. My total before the Kohl's Cash was $101.75 with tax. This is still a great price since this regularly costs $149.99! Spend $50 or more. You'll get $10 in Kohl's Cash for every $50 spent. The Kohl's Cash coupon you earn online will be sent via e-mail. Follow the e-mail instructions to print out your Kohl's Cash coupon. Take your Kohl's Cash coupon to your nearest Kohl's Department Store or enter your coupon number and pin at checkout on Kohls.com, December 11-18. At checkout, your Kohl's Cash coupon will be deducted from your purchase total! NOTE: Since your order is so close to $100, why not shop for something inexpensive to get your total up to $100 to score another $10 in Kohl's Cash?! They have tons of great stuff in the clearance section!